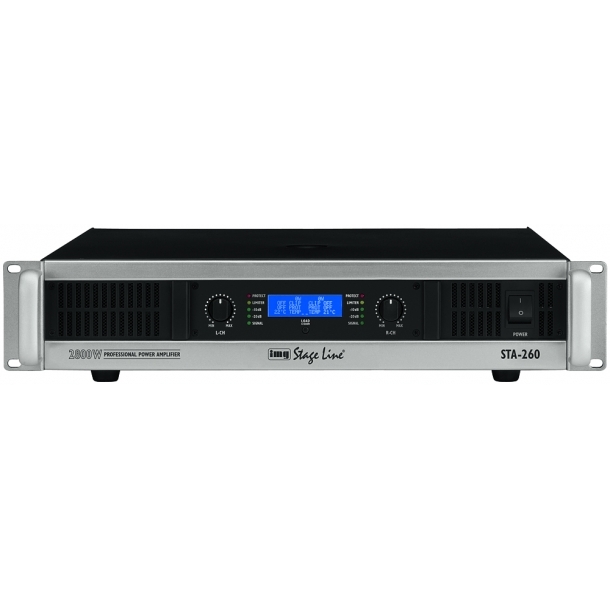 Professional stereo PA amplifier, with integrated 2-way crossover network and limiter. "Anyone looking for an alternative at an attractive price will find recommendable models in this price class, e.g. STA-260. Beside LED meters and an integrated active crossover network, the STA-260 provides an extensive display and numerous other features. Thus, achieving highest marks in this valuation category." 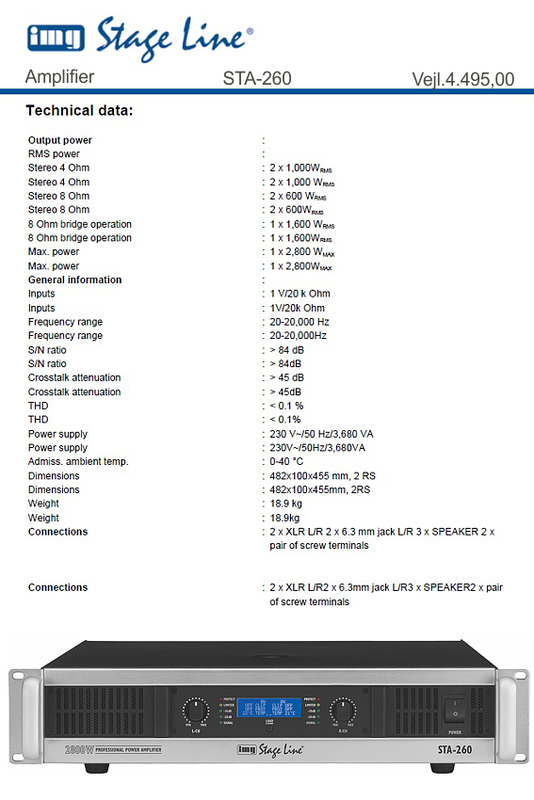 "Yes, the STA-260 complies with the performance data stated, features brilliant protective circuits. The 1,600 W capture everyone. What more could you want?"